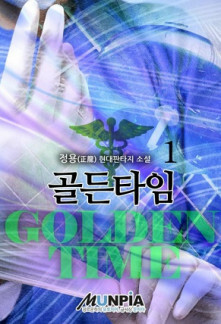 Golden time is a Korean Medical Drama/ Reincarnation Novel. The novel is short and progresses quickly as the main character is sent back in time to his teenage years when he got into a severe accident. Causing him to lose most of his memories and even trapping him in a coma for three months. The main character wakes up 3 months later where the only memory remaining in his head are his medical knowledge and his name. A story about the life of a young teenage boy growing up as he strives to save as many lives as he can and becoming the greatest doctor in the world. Golden Time, a moment in which a life can be saved!